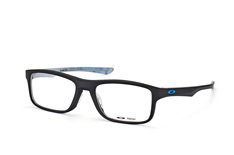 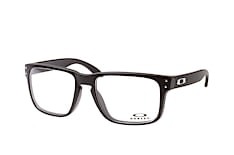 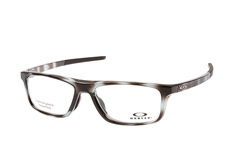 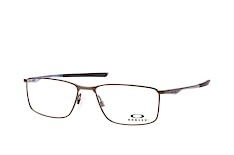 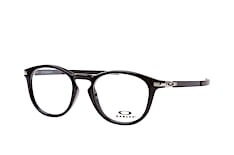 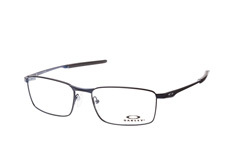 Oakley glasses have long been known for their exceptional quality in design and materials, and for the great style behind the clean lines favoured by Oakley glasses. Combine these with the professionalism of our team of opticians who work to ensure you get precisely the lenses you need, and you're left with a fantastic deal on Oakley glasses that's hard to beat. And we offer free delivery on all glasses orders over £29.00! Started in 1975 in founder James Jannard's garage, Oakley has become a staple name in the eyewear and clothing industries. Named after Jannard's English setter "Oakley Anne", the company originally sold motorcycle grips made with a trademark material called "Unobtanium" that was created by Jannard. Today, the material is still used to make Oakley glasses, which first became part of the Oakley portfolio in the early 80s. With models such as the Oakley Crosslink, Oakley has become synonymous with clean-cut, precise design and quality materials. 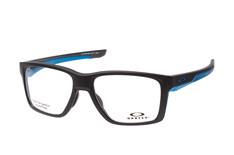 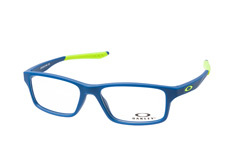 Oakley glasses come in a wide range of shapes and sizes, ensuring a selection that has something for everyone, no matter how understated or colourful their individual style is. 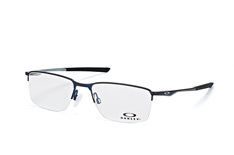 What's more, you can choose the colour of each of the Oakley frames, so whether you're looking for a specific Oakley frame to go with a particular outfit, or just need something you can wear on a day-to-day basis, Mister Spex's collection of Oakley glasses shines not just as a result of the high-quality glasses, but also because of the low-budget prices. 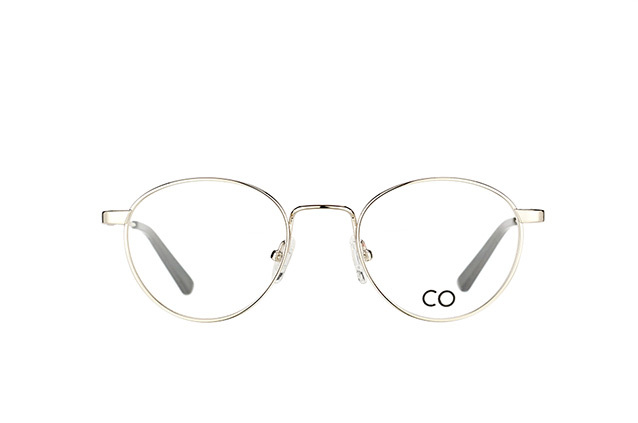 With our online fitting tool, you get the benefit of trying on your new frames without ever leaving the comfort of your own home. All you have to do to use our online fitting tool is either upload a photo or activate your webcam, and in no time at all you can browse our selection, seeing how each and every frame suits your face. 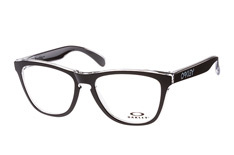 After all, trying on a pair of Oakley glasses is an important part of the decision, and our modern fitting tool means you can shop from anywhere in the world with internet access. 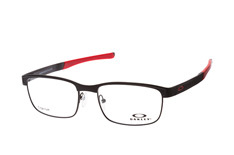 For added convenience we also offer a 30-day full refund guarantee on all our Oakley glasses - as well as our glasses from other brands - because no matter how advanced our virtual tool is, in rare cases the frame might not feel like expected, and you may decide you'd rather have a different pair of Oakley glasses once you've actually put them on in front of a mirror. In this case you get your entire purchase amount back, no questions asked, or you can send them back and have us deliver a new pair of glasses that is more to your liking. The Oakley frames are made with the precision and attention to detail you expect from Oakley, and our lenses are added with the same level of precision and detail. 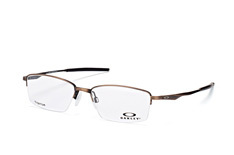 Choose between our classic clear lenses, or opt to turn your Oakley glasses into sunglasses with our special sunglass tinting. 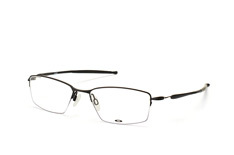 Many of are also prescription-ready, meaning you can have prescription lenses that keep out the sun's UV rays, while still ensuring you can see without needing to put in contact lenses. 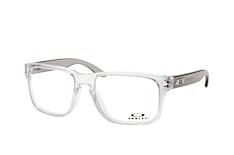 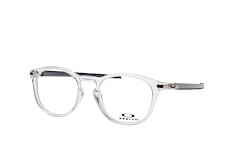 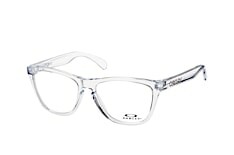 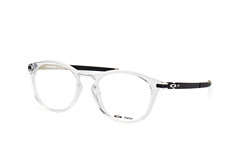 Please note, however, that because of the thickness of the lens, some frames do not work with all prescription requests. 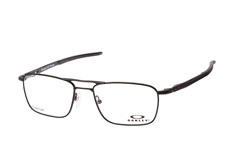 Our team of opticians is happy to help you find a frame that works with your prescription. 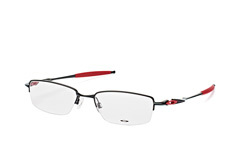 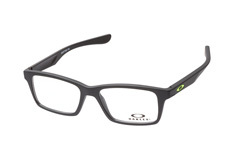 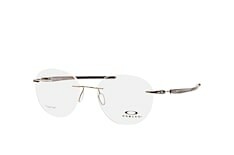 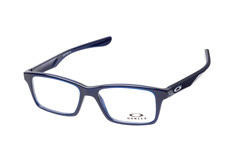 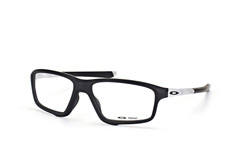 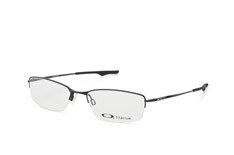 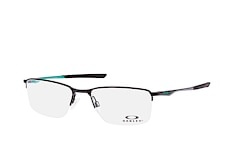 Simply submit your order and they will contact you to help with the prescription details for your new Oakley glasses. 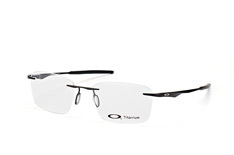 Our polarised lenses minimise glare from reflective surfaces, making them an ideal solution for those who wear glasses while driving or playing sports outside. 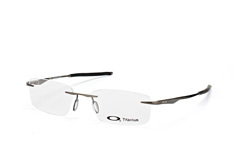 Or opt for our self-tinting lenses which adapt to the indoor or outdoor lighting you're in, removing the need to switch between glasses and sunglasses. 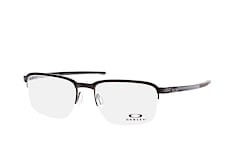 And with our super hydrophobic coating option you can give your Oakley glasses a water- and grease-repellent roll-off effect that keeps your lenses clean and your eyes happy. 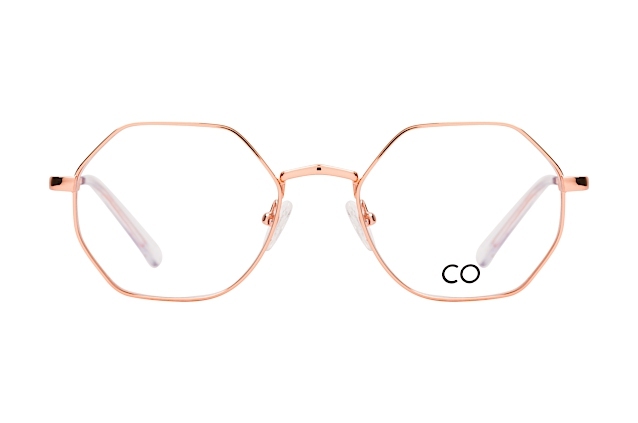 The price of the lenses will vary based on the options you choose, but rest assured that the price we charge is certainly something you can afford, even if you're on a budget. 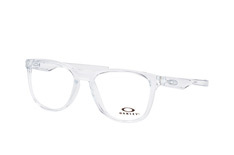 Whether you prefer rimless Oakley glasses or full-rim Oakley glasses, muted elegance or eye-catching colours, the added benefit of ordering your glasses online from Mister Spex is free delivery, which we provide on all orders over £29.00. 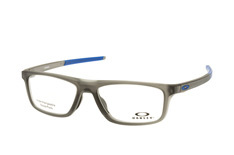 Try on your new Oakley glasses online today with our online fitting tool - and you can try them on in person in just a few days.